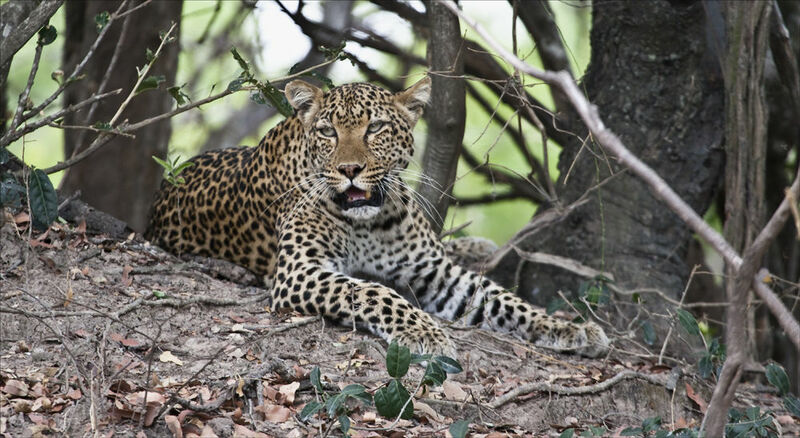 A major highlight of our trip, this Leopard was camouflaged so well we nearly missed it !!! It had killed a Waterbuck and had eaten most of it here. Such a fine specimen, it took umbrance to our appearance ! !